I believe that our world is abundant. Whatever you wish for will come your way. And whatever comes your way doesn't diminish what is available to me. You just have to put your intentions out there. And watch the tide roll in. Just this week I was gifted 2 real nests! If you've been following my blog, you'll know that I have been making a series of art quilts based on nests. 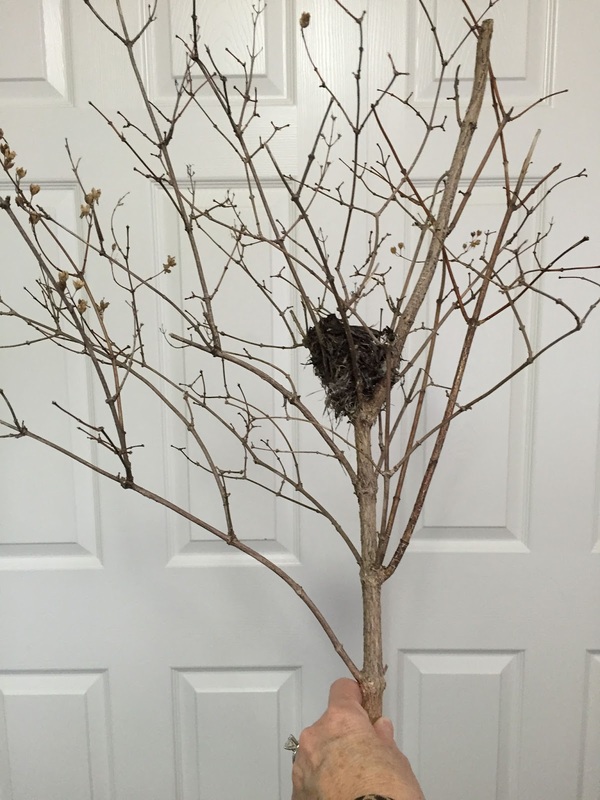 The nests are made of both man made fibers and natural fibers that are for the most part recycled or found. This includes vintage bias binding, vintage rick rack, yarn, twine, embroidery floss, thread, pearl cotton, felted wool, cotton material, organza, tulle, costume fabric, hand dyed fabric remnants, shredded cotton fabric, Angelina fibers, feathers, lichen, goat hair, old book pages, ribbon, lace, and raffia. Where do you think all these fibers come from? Friends who share my quilting passion, garage sales, estate sales, donations to our free table, found items from hiking and walks, a goat farmer, a hunter, hand dyers, and a wool dyer's scraps. Thanks to all of these people in my world! 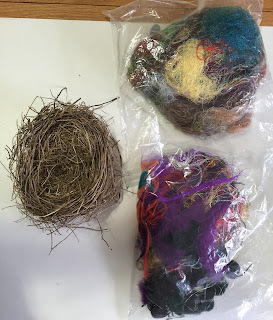 This week I also got 2 bags of thread and fiber scraps from a long-arm quilter, my husband brought home a feather and I found 3 on our walks, and I added a handful of scraps from a recent bed-sized quilt top. I think I have to make a gigantic nest quilt now! I'm so grateful and thankful for my abundant world. How about you?